UX Part 3: Is Your Current UX Design Working? Home»Blog»UX Design»UX Design Part 3: Is Your Current UX Design Working? The third in our four part series shows you how to learn more about your users and assess your current performance. You’re here because you want to create the best possible user experience. But, you can’t improve until you know what’s broken. It’s time to learn more about your users and their experience on your website. Step 1. Who are your users? The first question is the easy to answer. It’s the heart of UX design: your users. The more you know about your users, the better experience you can craft for them. Google Analytics is a fantastic tool that records information about every single person that visits your website. It gives you a demographic breakdown of age, gender and location. A new feature also tracks users’ interests (based on their internet behaviour). Use this information to determine who’s using your service. In part 2, we talked about creating an ideal user. Are your analytics matching the ideal user you created? If so, then congratulations, you’re reaching the right people, and that’s the first step to a positive user experience. Step 2. How did they get here? Using Google Analytics, you can also track the search queries that lead people to your website. This tells you what questions people are asking. It tells you exactly what they’re looking for. Are you providing it? For example, here at Bitcatcha, we help small businesses find the best web-hosting solutions. When I dive into our Analytics account, I love to see search queries like “what is the best web host?” because I know that Bitcatcha has the answers! That person is getting a great user experience. What questions are your users asking? And are you answering them? Step 3. Are you converting users? If you’re reaching the right audience and answering the right questions, you can assume you’re providing a good user experience. Now you need cold, hard proof. Quite simply, you can tell if your UX design is working by looking at your conversion numbers. Are they signing up to your service? Are they buying your product? It’s time to jump back into Google Analytics to find the answers. Goal conversions: Google Analytics has a cool feature that lets you track user behaviour and user journeys. Let’s say your conversion goal is to get users to sign up to a free trial. Ask Google Analytics to track how many people land on your home-page, then click through to the free trial page and sign up. 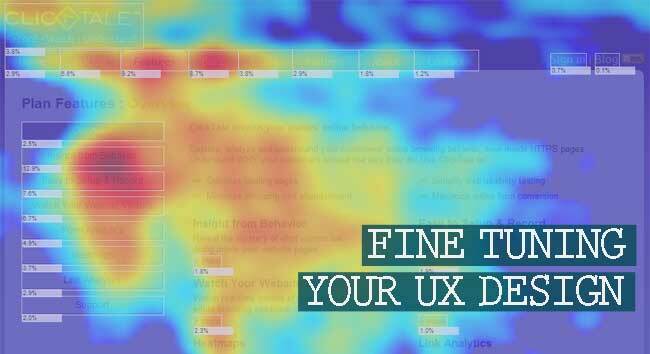 A high percentage means your UX design made it nice and simple for them. Behaviour flow: Another cool Analytics feature is ‘behaviour flow’. It shows you the most common landing page. Then it tells you where users go next, and where they go after that. With good UX design, you’ll hopefully see users following the path you set for them. Landing page > more information > conversion. If there are lots of drop-offs or they’re avoiding your main conversion, your UX design has gone wrong. Bounce rate: When someone comes to your site and leaves without clicking on another link, it’s called bouncing. A high bounce rate suggests that people aren’t finding what they’re looking for. It’s a key indicator of poor UX design. Low returning visitors: A good website has a healthy flow of new and returning visitors. If your ‘returning visitor’ statistic is low, it suggests you’re not providing a compelling user experience. It means people aren’t coming back and using your service regularly. Analytics give you a good overview of user experience. But there’s only so much you can do with data. For real results, you’ll have to ask your users directly. The best way to do this is using private questionnaires. The anonymity means your users will be much more forthcoming and honest about their thoughts (compared to a focus group, for example). What does [my website] do? This is a chance to see how well your value proposition translates to people. Do your users actually understand what you do? What is the most frustrating feature of [my website]? People aren’t naturally inclined to talk negatively about you. You have to ask them outright. Open yourself up to criticism and learn how to improve the user experience. What could [my website] do better and what features would you like to see? Your users are often the best ones to tell you how to adapt. After all, they’re the ones using your service. Let them tell you where to go next. Eye-tracking is a lab test that shows you exactly where users look and click on your website. An affordable option here is a piece of software called Clicktale. It shows a sample visitor’s every movement with heat maps and playbacks. You can actively see where users struggle to navigate and watch how they interact with your site in real time. It’s a visual map of your users’ experience. If you’re trying to decide between two navigation layouts or different wording, try both! Create two separate landing pages and split your traffic equally between them. 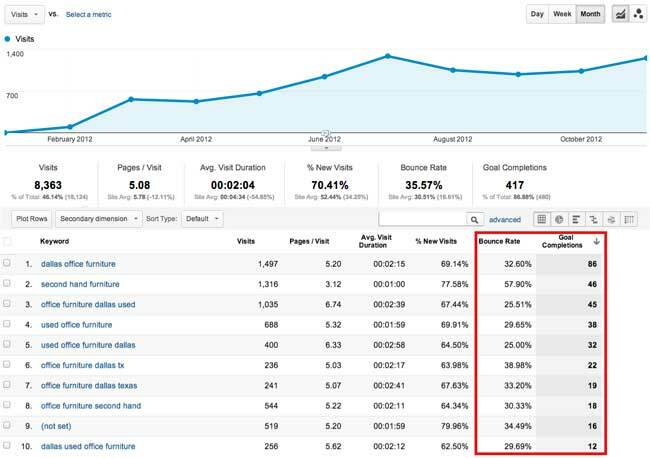 Now use Google Analytics to measure the performance of each. Which one encourages more sales, signups, and conversions? It’s a clear indicator of your best UX design. You should relish the opportunity to get free, easy feedback from your users. Customer service queries are a key insight into the experience of your visitors. I like to think that a user that cares enough to write to us (even negatively) is a user worth having. What are the most common questions and concerns? Use this chance to connect with your users and ask them what you could do better! Your UX design is never ‘done’. Keep learning more about your users and keep testing their experience. Open yourself up to criticism, learn more about your visitors and never stop adapting. Trust us, the user is always right.